Jen and I have been on a greasy, MSG-ridden (yet delicious) Asian food binge for a few weeks, so we decided to cook something a little more healthy for lunch this week. Enter… poached salmon. You boil it, so how can it possibly be anything but healthy?! Jen perused poached salmon recipes on Allrecipes.com and chose two, so I combined elements of both into the final recipe below. One recipe called for white wine and another for chicken bouillon, and since Jen and I are acolytes of the “The More the Better” mantra, we wanted to use all the ingredients in one mega-recipe. The results definitely did not disappoint. 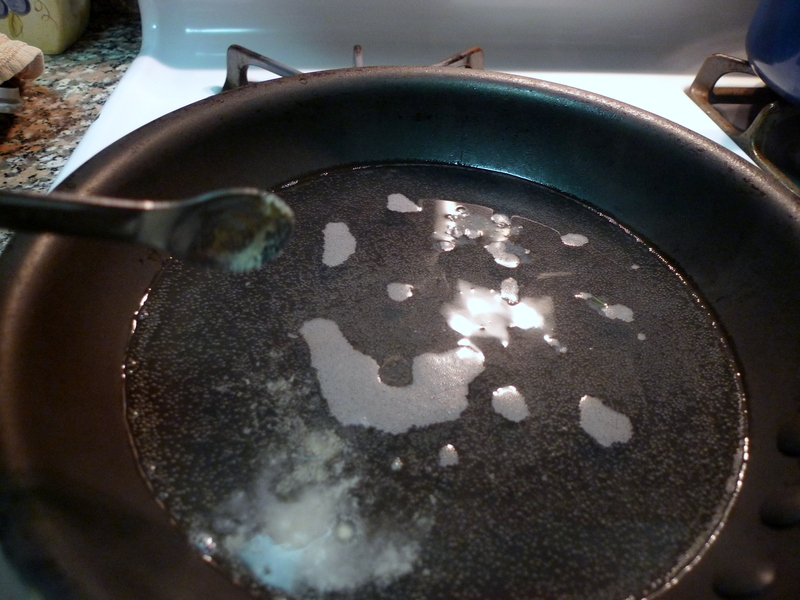 Heat wine, chicken bouillon, lemon juice, and water over medium high heat in a large non-stick skillet for 5 minutes. 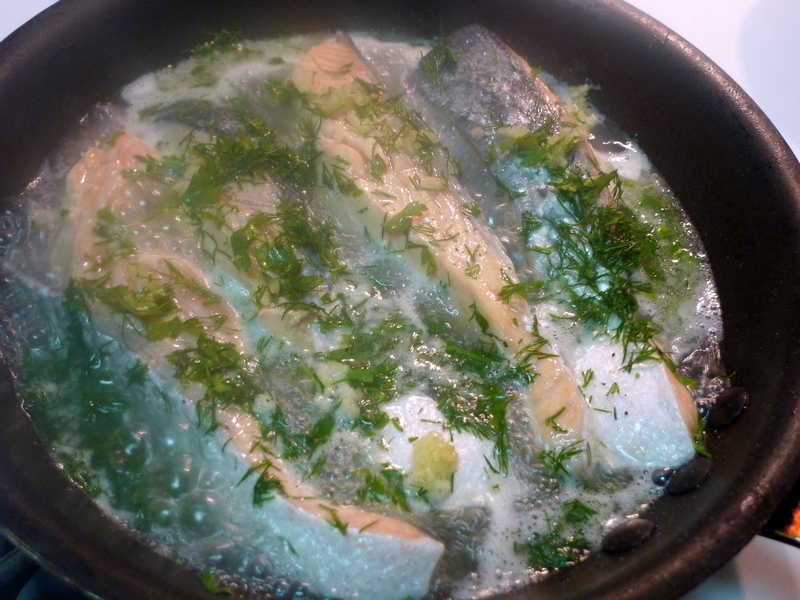 Slide salmon pieces into poaching liquid and dot with butter. 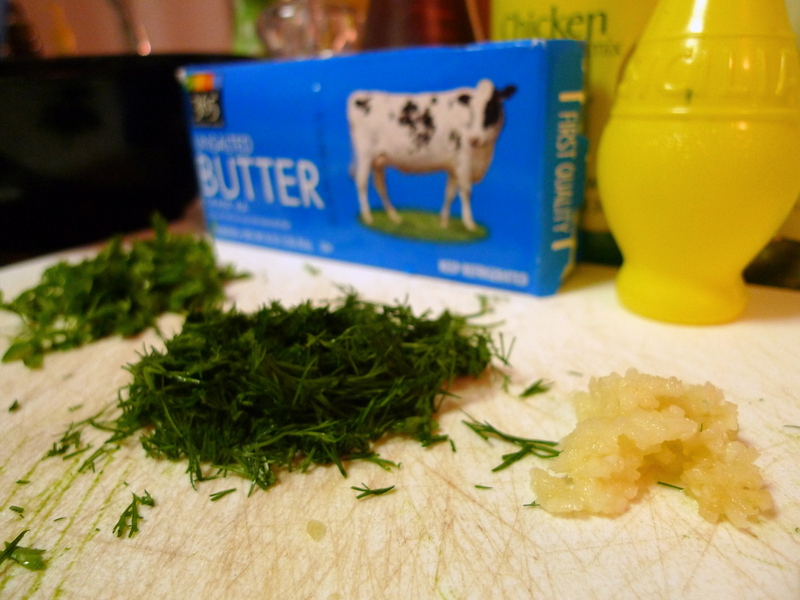 Sprinkle with parsley, dill, garlic, salt and pepper. 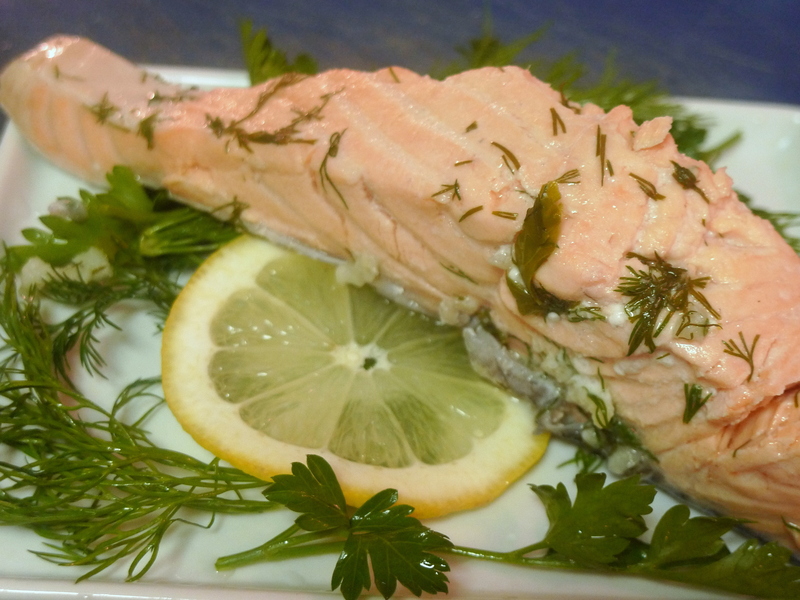 Bring to a slow boil, reduce heat to medium and poach until salmon flesh is firm, about 10 to 15 minutes. 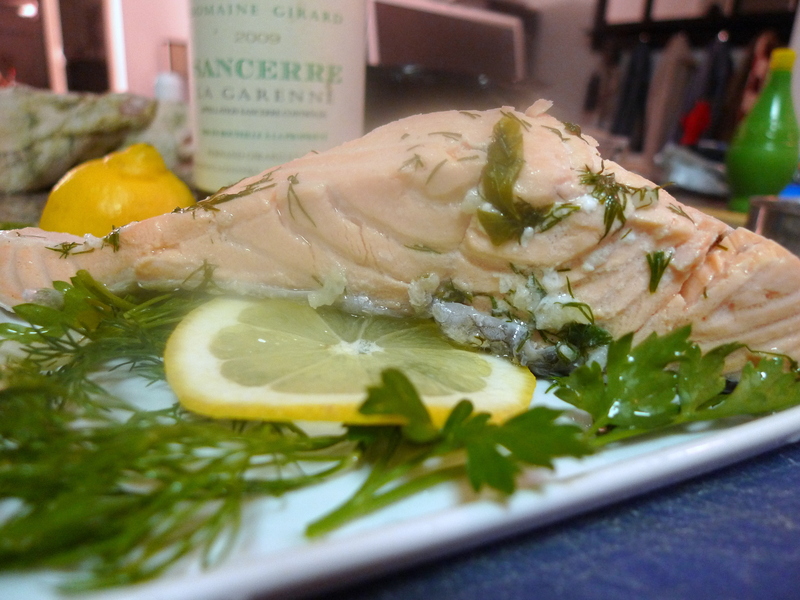 This is quick, easy, and the result was juicy, fleshy salmon that was delicious and melted in your mouth. It tasted fresh, tangy and very healthy. We ate it for lunch with the Russian salad I often make.